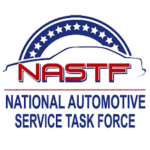 ASA no longer manages NASTF Vehicle Security Professional program - AutoInc. NORTH RICHLAND HILLS, Texas – On Jan. 1, 2019, the NASTF board brought the management of the Vehicle Security Professional program in-house at the Denver, Colo. headquarters. ASA no longer manages the program. Please use the new contact information below for all questions and information.